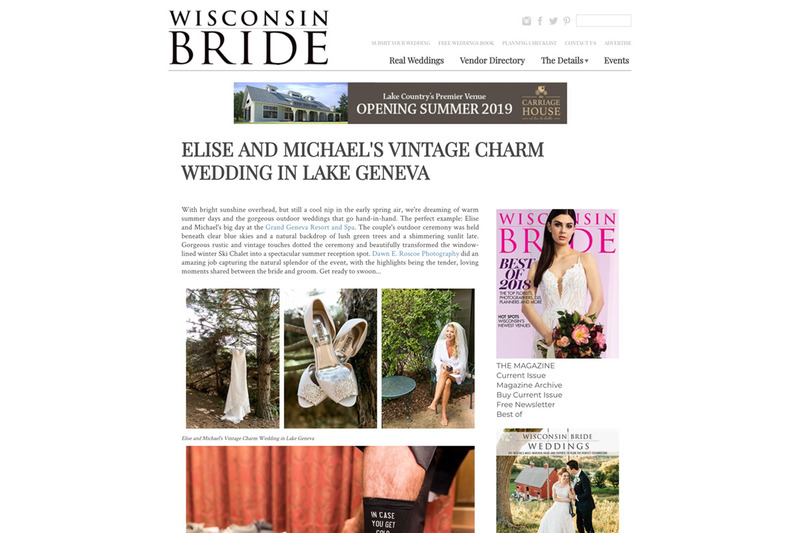 Vintage, boho wedding feature at Grand Geneva Spa Resort. 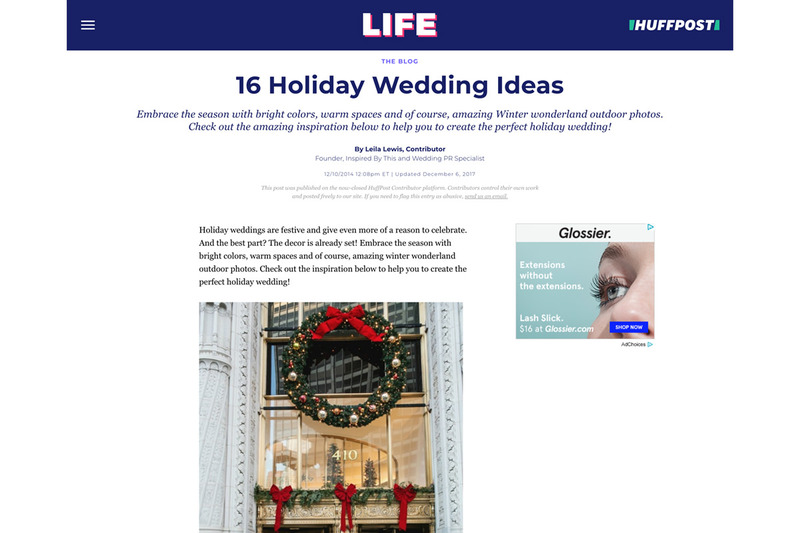 Lead photo in “16 Holiday Wedding Ideas” blog post. 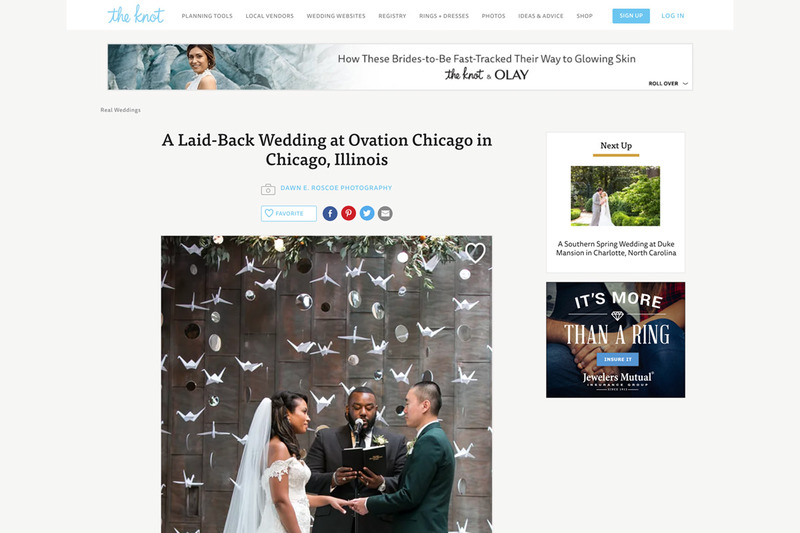 Urban wedding feature shot at Ovation in Fulton Market, Chicago. 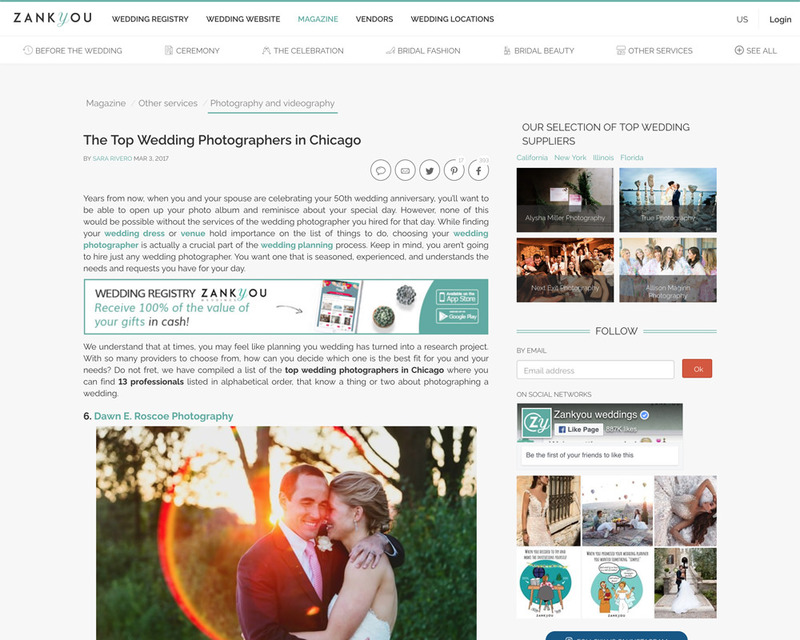 Thanks to Zankyou for being including in Chicago’s list of top wedding photographers! 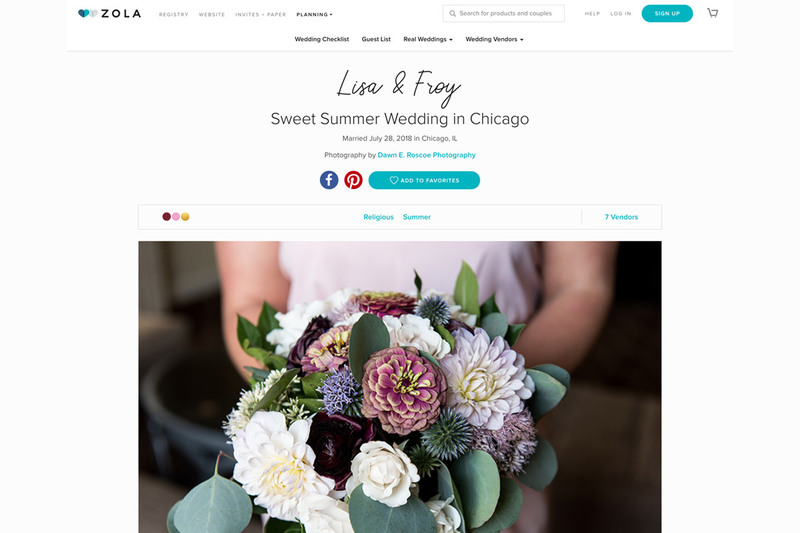 Another wedding feature of Marla and Trevin’s urban wedding at Ovation, Chicago. 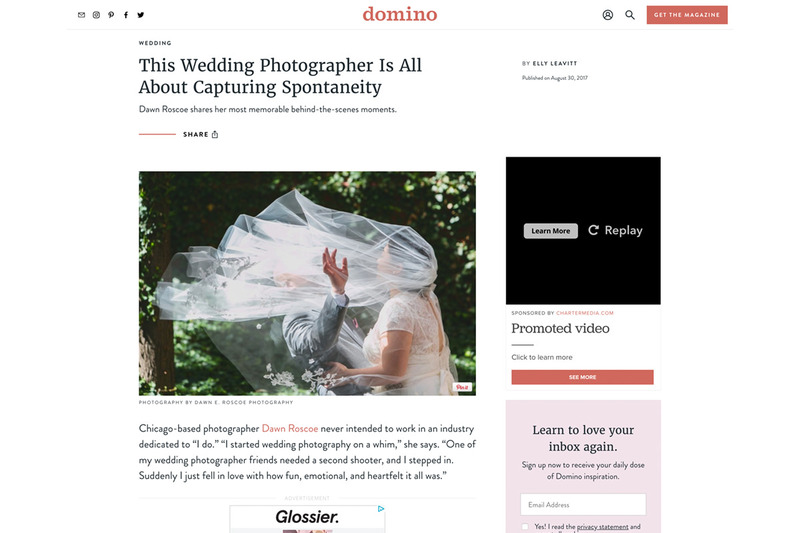 Memorable, behind-the-scenes moments article for Domino. 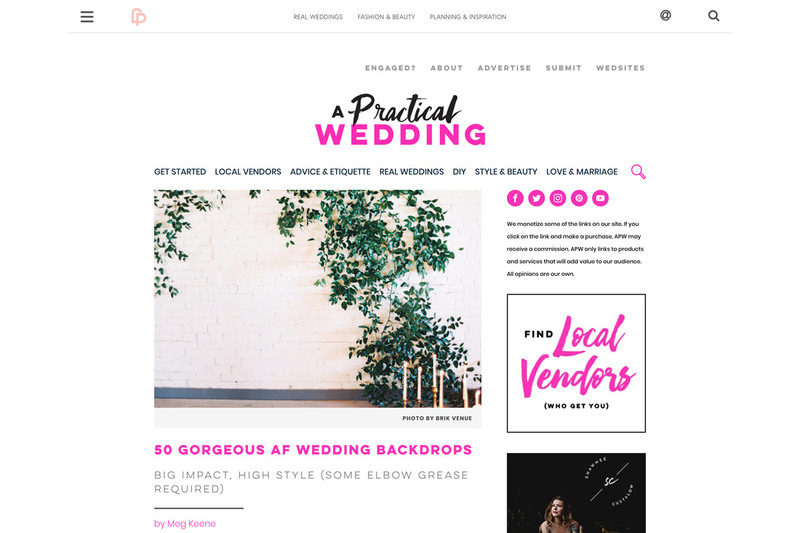 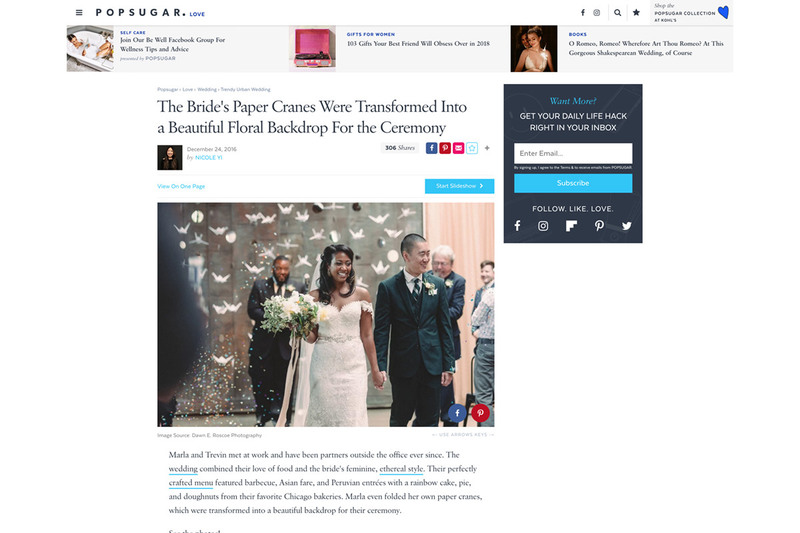 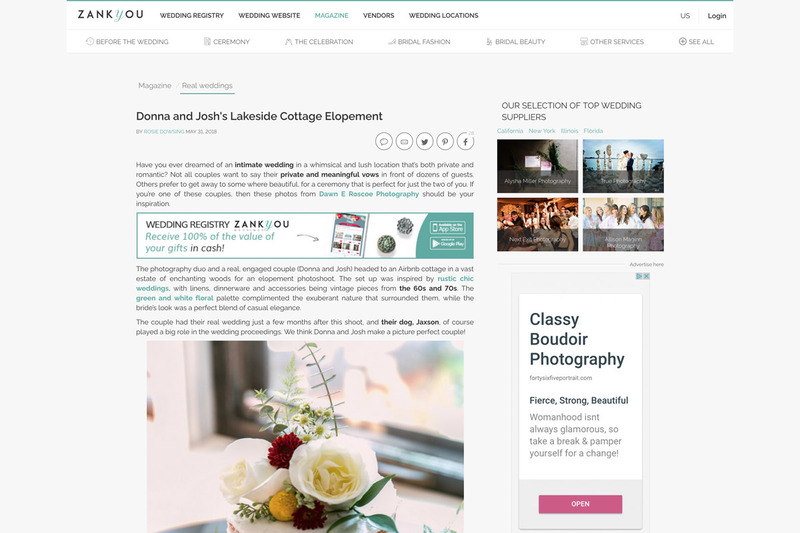 Traverse City, Michigan elopement feature on Zankyou. 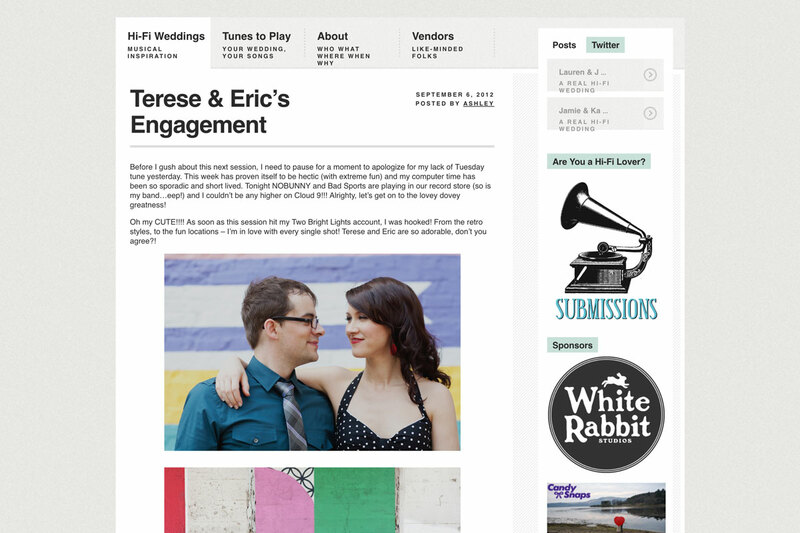 Chicago wedding with outdoor reception shot at Chief O’Neills. 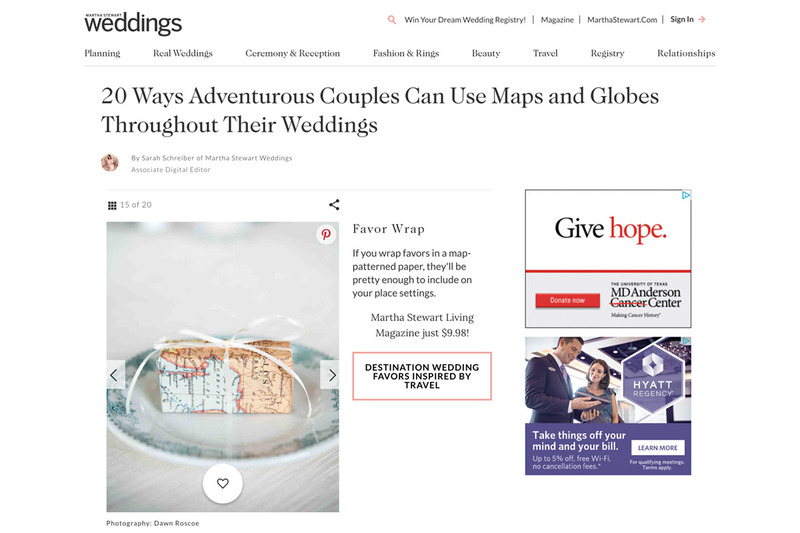 Detail photo feature for wedding inspiration and gift ideas. 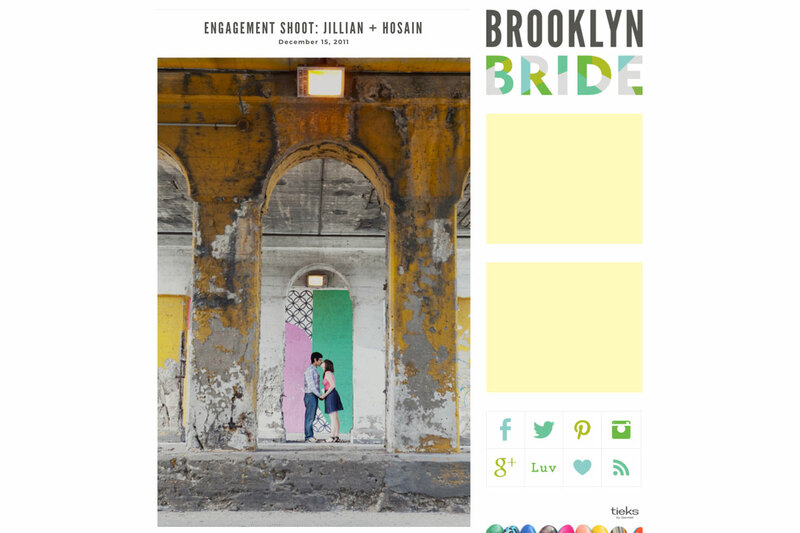 Engagement session feature shot in Wicker Park, Chicago. 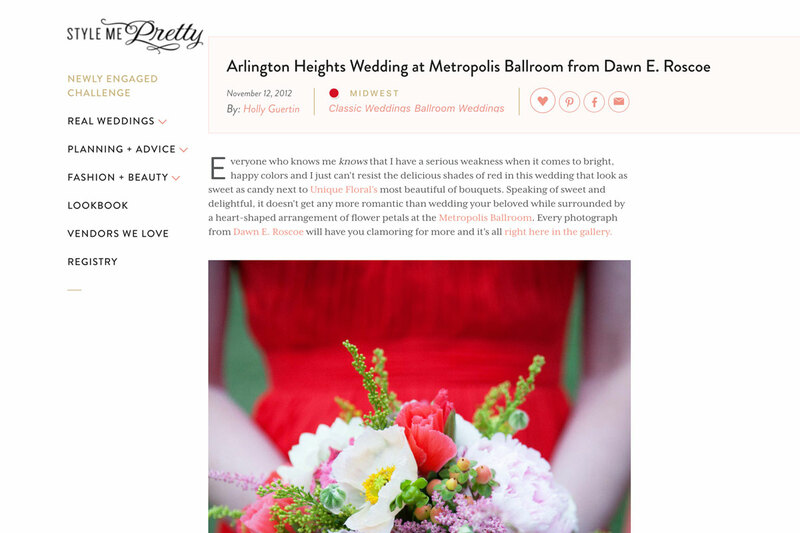 Full wedding feature shot at Metropolis Ballroom, Arlington Heights in Chicago.